Here is the July 2016 Auxiliary Newsletter. The Newsletter will open in a new window. The lending library is open from 12 - 2 for book check-out the second Saturday of each month. Please join us in the Community Center at the North Central Fire station at 40144 Ridge Road, on the east side of the road. From I-70 Exit 316, head south on N Main St toward railroad tracks. Cross railroad tracks. Come to the Craft Fair at North Central on Saturday Oct. 8 from 10am - 2pm! Lunch will be available for sale during the fair. Come to the NCFPD/Auxiliary’s Safety Fair on May 2 at 10:00 AM at the Fire House. There will also be giveaways for kids and they can go through fire trucks and ambulance and try on fire fighter uniforms! We will have door prizes and giveaways too. This is truly something important for everyone, every age to learn. Annual Soup Cook-Off & Silent Auction to benefit our Volunteer FD. From Bennett/Strasburg: Take Byers exit (#316). Turn right at bottom of ramp. Cross railroad tracks. Turn left on Front St. Front St. becomes Exmoor. Stay on Exmoor. Turn left of CR 42 (pavement ends). All roads are dirt from here on out. CR 42 becomes Ridge Road/CR101. Follow Ridge several miles to the Fire House and Community Center on left. You will pass Emerald Trail on your right, just before the fire house. From Parker: South on Parker Road to Franktown. Turn left on Hwy 86 at light. Stay on 86 through Elizabeth and Kiowa (approx.. 16 miles). Turn left on Comanche Creek (dirt road), about 4 miles past Kiowa water tower. Go 5.5 miles on Comanche Creek. It will "Y" at CR 150. Veer right onto 150. In 8.1 miles, 150 becomes Ridge Road, Go 2.6 miles to the "Y" and veer left. In a little under 1 mile, the Fire House and Community Center will be on your right. Lunch & Drinks will be available for sale during event. $5.00 per family if bringing soup for contest; $10.00 per family if you just want to eat and bid! Fire Department Work Day! Saturday, Sept. 20 from 8am – 2pm. Saturday, Sept. 20 from 8am – 2pm. Come help us clean up the Fire Dept. grounds! Pizza and drinks provided for all helpers! The auxiliary is looking for crafters and vendors for our 4th annual craft fair. Sat., Nov. 22, 2014 from 10am - 4pm. If you are interested in renting a 6 x 6 space, the cost is only $15.00 per space. Contact Jill at -0159 or Sara at -7720 for more info. Sat., October 25 at 6pm at the community center--Soup Cook-Off and Silent Auction! All auction proceeds go to our volunteer fire department. Cost is $5.00 per family if you bring soup and $10.00 per family if you just want to come and eat. Please let Jill -0159 or Sara -7720 know if you have an item to donate to the silent auction. 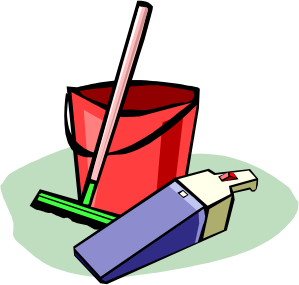 Sat., Sept. 20 from 8am-2pm Fire House Work Day! Come help us spruce up the grounds around our fire house. We'll be putting gravel around the marquee sign and on the north side of the community center, plus various misc. clean-up jobs. The auxiliary will provide pizza and drinks for all who come and help! 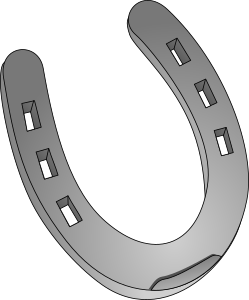 Labor Day Horseshoe Tournament on Monday, September 1! Bring your own picnic, drinks, chairs and shade and come take part in horseshoes and activities for kids! Live music!